Article by Writing IE Admin © 10 September 2018 Writing.ie . Red Line Festival runs October 8th – 14th in venues across South Dublin. 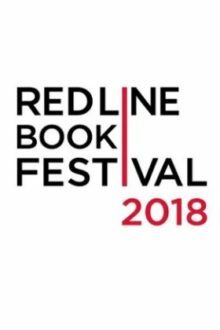 A host of top Irish and international authors are set to descend on South Dublin as the Red Line Book Festival returns for an exciting eighth edition, with more than 50 events taking place between October 8th – 14th. Familiar faces and exciting new voices are equally represented in the 2018 lineup, which features bestselling international writers, including Peter F. Hamilton, Sophie Hannah and Andrew McMillan, together with top Irish talent like Emilie Pine, Alison Spittle, Joe Duffy, June Caldwell, Sarah Webb and Angela Nagle. Sam Blake (Writing.ie’s Vanessa O’Loughlin) will be interviewing fellow crime writer Sophie Hannah. The festival’s Digital Worlds strand delves into the often marvellous but sometimes murky world of technology. All-round creative powerhouse Alison Spittle hosts Internet Famous, a panel event with Tara Flynn, Aoife Dooley, Emer McLysaght and Sarah Breen, while Angela Nagle will appear in conversation with Rob Doyle to discuss her controversial book Kill All Normies: The Online Culture Wars from Tumblr and 4chan to the Alt-Right and Trump. The festival will also welcome Peter F. Hamilton, one of the world’s foremost science fiction writers, to discuss his extensive back-catalogue. The Historic Heroines strand marks Votáil 100 – one hundred years of women’s suffrage in Ireland – with a number of events celebrating the role of women in history and politics, society and literature. Victorian Mavericks sees Nuala O’Connor, Bernie McGill & Caroline Busher celebrating Victorian-era female characters who break the mold, Mná and the Law finds Justice Marie Baker & Constance Cassidy SC discussing women in politics, the law and their prominence in our history, while Mná na hÉireann explores the changing lives of women in Ireland over the past century, with contributions from leading historians Liz Gillis, Sinéad McCoole, Dr. Kate O’Malley, as well as Joe Duffy. Elsewhere, Magic in My Eyes: Hardy’s Poems of Love & Loss is a special collaboration between three actors and the Delmaine String Quartet, in the beautiful surrounds of Rathfarnham Castle, which explores one of the great romances in literary history – Thomas Hardy’s courtship of Emma Gifford. The announcement of the winner of the 2018 IT Tallaght Red Line Book Festival Short Story Competition precedes the launch of a publication, Stand Fast!, featuring the work of shortlisted writers. Five years of the Red Line Book Festival Poetry Competition is being marked with the publication of a chapbook, Red Lines, featuring some of the competition’s highlights since 2014. The collection will be launched in conjuction with the announcement of the 2018 competition winner. Highlights of the Red Line Book Festival’s Signature Series include a live recording of RTÉ Radio’s Sunday Miscellany with an array of special guests. Elsewhere, Emilie Pine discusses her recent essay collection Notes To Self and Jolene Cox, discussing her new book One Yummy Mummy: Family Food Made Easy, will host a cooking demo and Q+A. There are lots of events for children to cater to budding bookworms. Moon & Sixpence Theatre’s Red Riding Hood sees the classic fairytale played out by marionette puppets, while our schools programme features the best of Irish children’s theatre from Bombinate, Garbo and Monkeyshine Theatre, as well as Sarah Webb, Marita Conlon-McKenna, Anna Carey, Aoife McLysaght discussing how Irish women blazed their own trail. The festival’s Tools of the Trade programme features a number of workshops aimed at aspiring and established writers, including Creative Non-Fiction Writing with Rob Doyle and Not A Lonely Road with Jane Robinson, aimed at those looking to establish and maintain a writing group, as well as a host of other workshops from Mary O’Donnell, Eileen Casey, Lisa Harding and Mark Granier. Fans of the festival can also look forward to an extra-special pre-festival event, Dermot Bolger in Conversation with Jennifer Johnston & John Sheahan, at the Pearse Museum on Sat 8 September at 2pm.